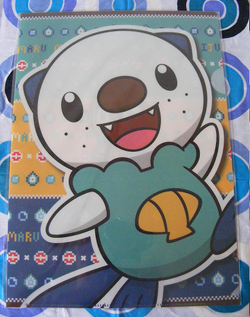 The very issue of Coro Coro that Mijumaru was revealed in! To some people this may not seem too interesting, but to me it is very special. 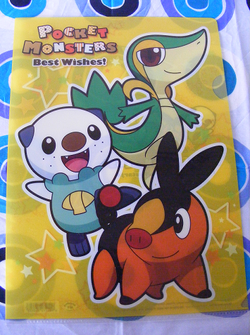 This is the first time I have held, in my hands, a Coro Coro Comic that revealed for the first time to the world my very favorite pokemon of all time! Such a cutie!! 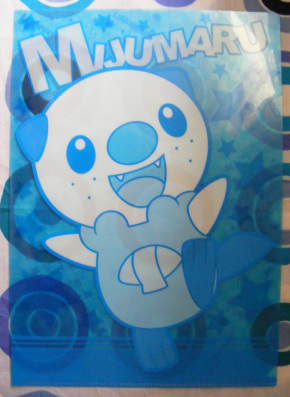 I used this clearfile for my kanji class at NUFS. 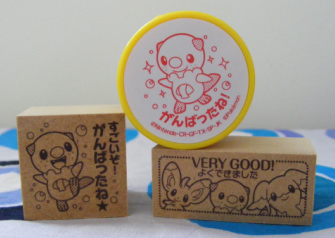 Various erasers featuring Mijumaru! 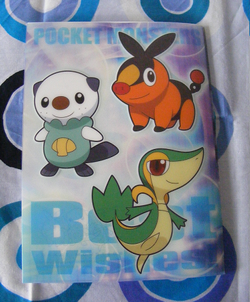 <3 I especially love the rectangular one, it has little pokeball erasers in it! 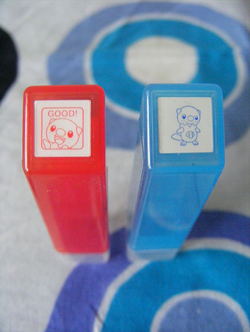 This is different, because it was in a gachapon machine! SCISSORS. 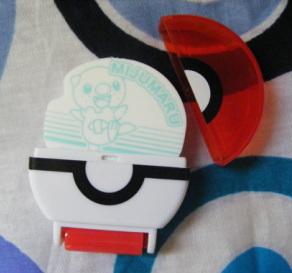 MIJUMARU USED CUT. AHAHAHAHAHAHAHAHAHAHA. I love collecting and I love many types of merchandise released, but these are some of my FAVORITE items! 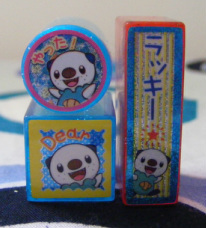 So unique and pretty, and even if your pokemon gets another stamper, it won't be in the same artwork! 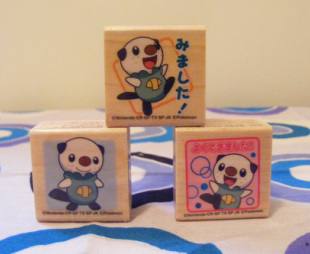 <333 I can't believe Mijumaru already has THREE of these! Funny story about these: I found the red one first, and kept searching through the rack. 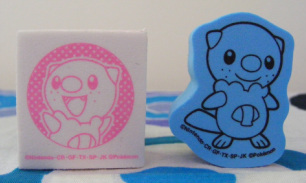 I saw that the other starters had two stampers, yet Miju only had one. So I kept on searching, and searching, and searching. And finally found it a few weeks later. 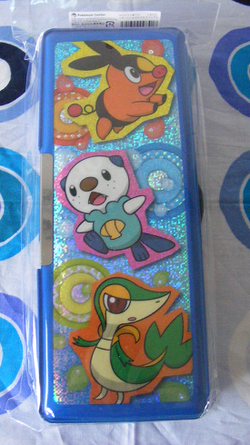 <3 AWWW YEAH. Funny story about these! xD And slightly embarassing, I suppose. I was going to Tokyo, but just before going, my friend Miranda and I went to the PC together. 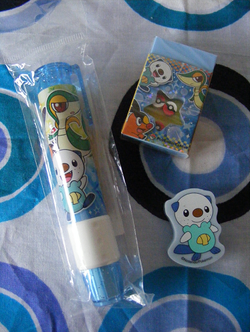 I was eying these, but I didn't have enough money to get these along with everything else I was getting. So she decided to buy these for me before I could protest (Thank you! <33 ;A;/). 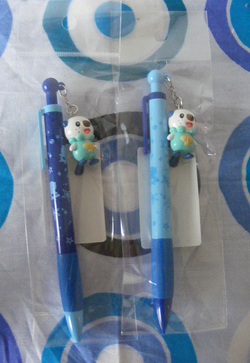 But when she came back to give them to me in the store, I said 'Thanks, baby.' I then I died inside of embarassment. 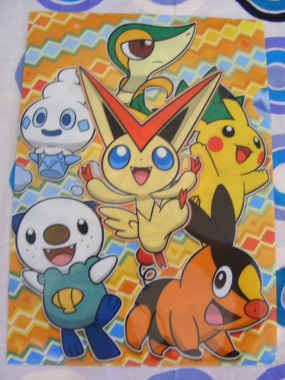 This was a freebie in some magazine. In that same magazine, I found instrctions and materials to build a Ferris wheel for my stampers. 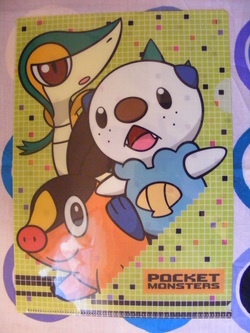 This was a part of some special campaign at Toys R' Us stores in Japan. Such a cutie!! I never saw this one while I was in Japan, either. I'm lucky I got it when I did, though, I haven't seen one since!